A male of my Sicyopterus sp seems to have been in heat, and a color of the body changed loudly and has begun to chase around a female. 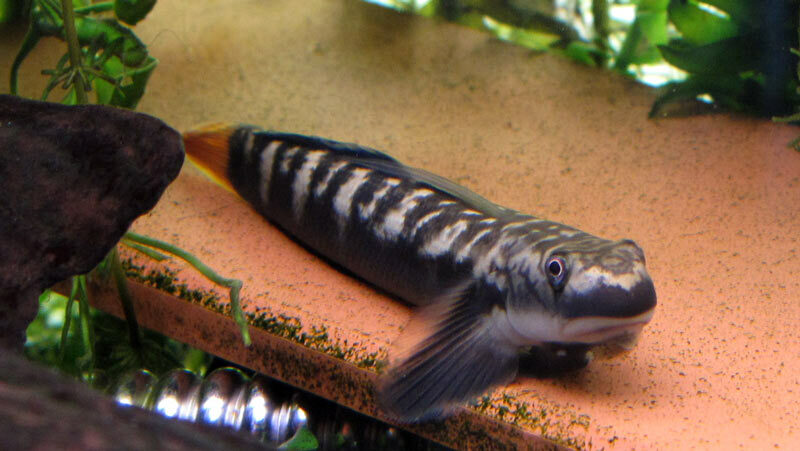 It was sold as an imported Sicyopterus goby by Indonesia. 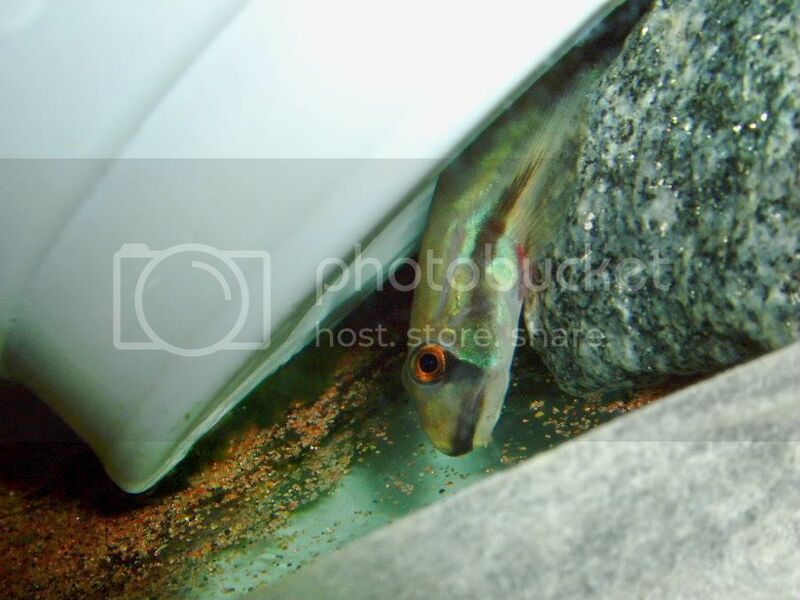 There is a case sold as "mountain rock goby". The video clip is uploaded in Youtube, too. 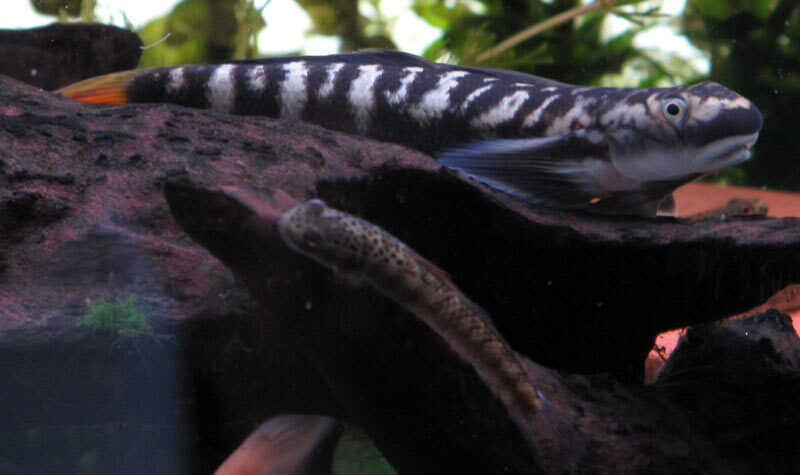 The detailed past post about these gobies is this place. He's a beauty odyssey! Their color changes are amazing! Love the piggy-back pics!! 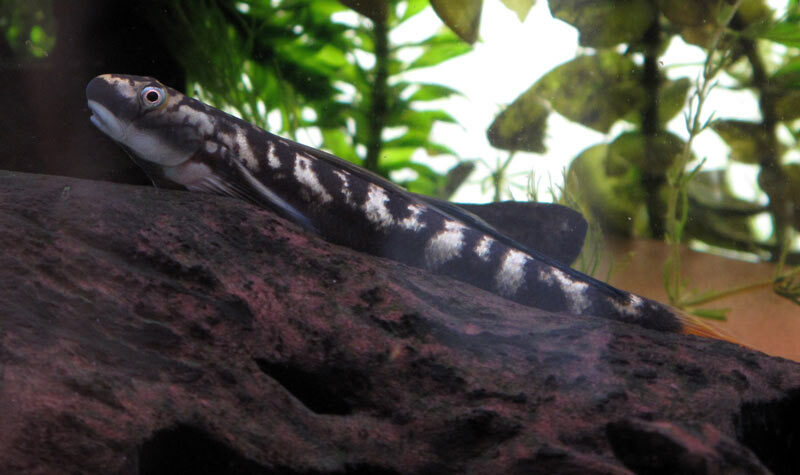 They're sold here as "Indo mountain rock goby" also. Last edited by plaalye on Sat Sep 19, 2009 1:31 pm, edited 1 time in total. Those are beautiful, and very large. 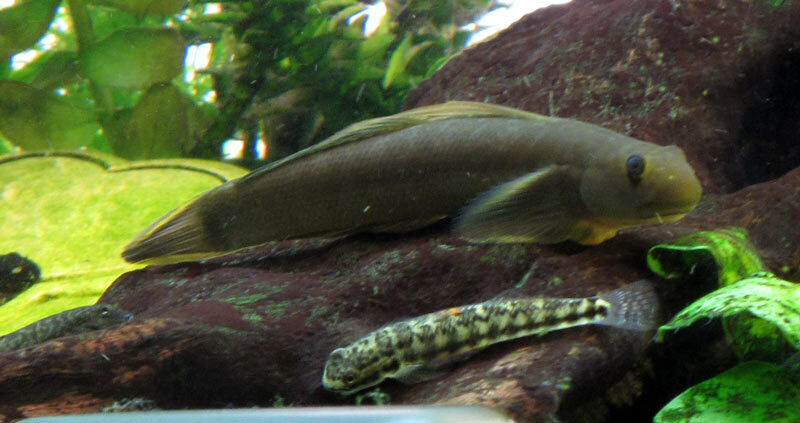 I uploaded a medley video of the algae grazing of Sicyopterus sp (Mountain Rock Goby). I think that it resembles dugong and a manatee. Also the video grazing algae of gobies of the Stiphodon genus is uploaded incidentally. Hi Odyssey, your tanks always look so bright and healthy , thanks for sharing yet again ! 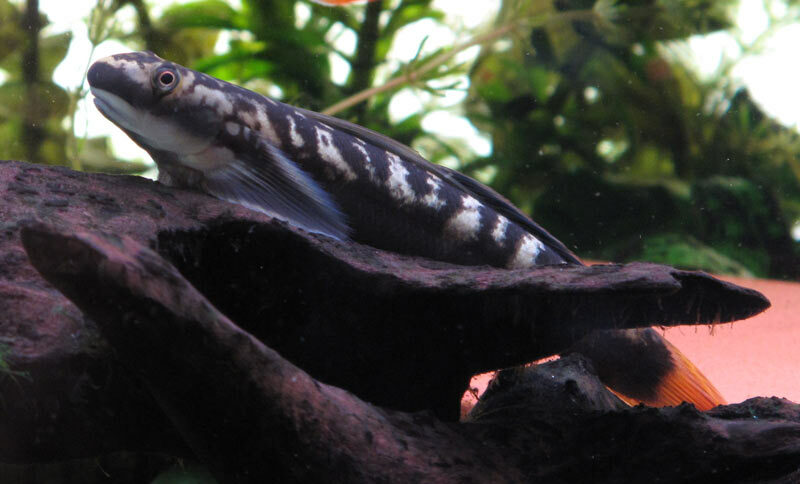 Fish is very interesting, now I have two new fish in my aquarium with my Stiphodon semoni the seller to think of Stiphodon atropurpureus but at first glance I knew that it's Sicyopterus. I discovered a new species and I could observe different behavior Stiphodon. I have a Sicyopterus who have dug into the sand as cichlids and other put it in the slop with Stiphodon. I began to observe little aggression between Stiphodon, thought I put stones in the right height to prevent them from watching the aquarium at a volume of 54 liters. Think you that the number of fish and suitable for this type of volume? I think making a river bottom, but behavior Stiphodon semoni me to think differently. tyrano34 wrote: Think you that the number of fish and suitable for this type of volume? As can be seen, they seem to be able to inhabit the congestion on pictures and the video of this thread if even algae is enough. how many liter minimum for a Stiphodon? I notice that my Stiphodon starts here (in sand) settling. At night he sleeps together, the day he moves a lot and I see little conflict of jurisdiction. the Sicyopterus are peaceful or aggressive with Stiphodon? tyrano34 wrote: how many liter minimum for a Stiphodon? I use the water tank of 54 liters. 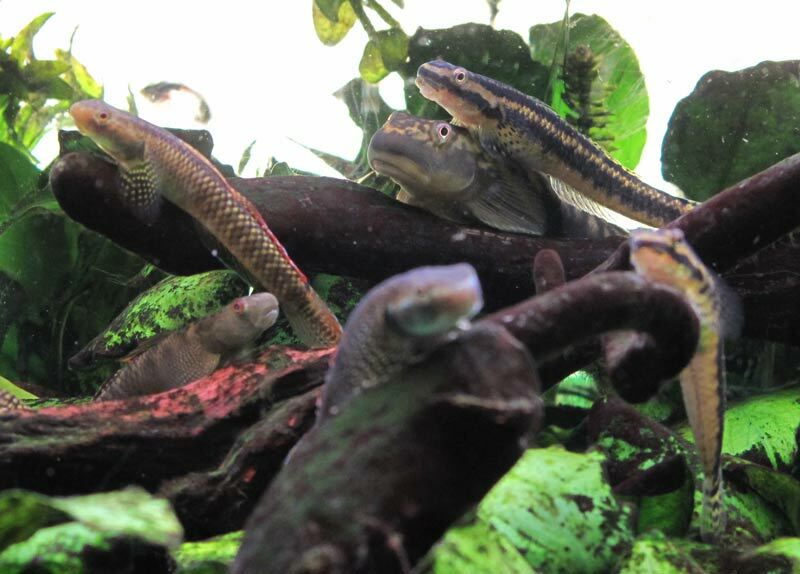 27 small Stiphodon and Sicyopterus lived more than two or three years by much time. Is it survivable lowest quantity of water? I think that even 1 liter per one small fish can live if I can maintain cleanliness of the water. I minimize injection of the food (organic matter) from the outside of the water tank, and it is a premise to live mainly on the algae (organic matter) which I multiplied inside of the water tank. 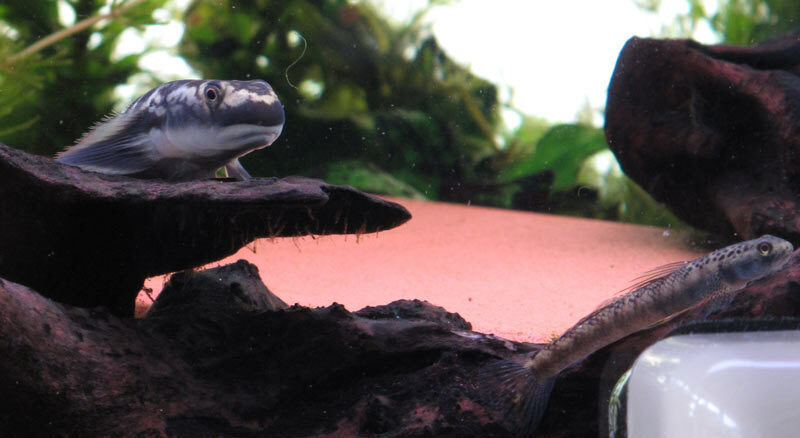 My Sicyopterus are more peaceful rather than my Stiphodon. I have 4 Sicyopterus and I noticed a difference in their colors lighter and darker with each other. This color difference and a sign of dimorphism or dominance? 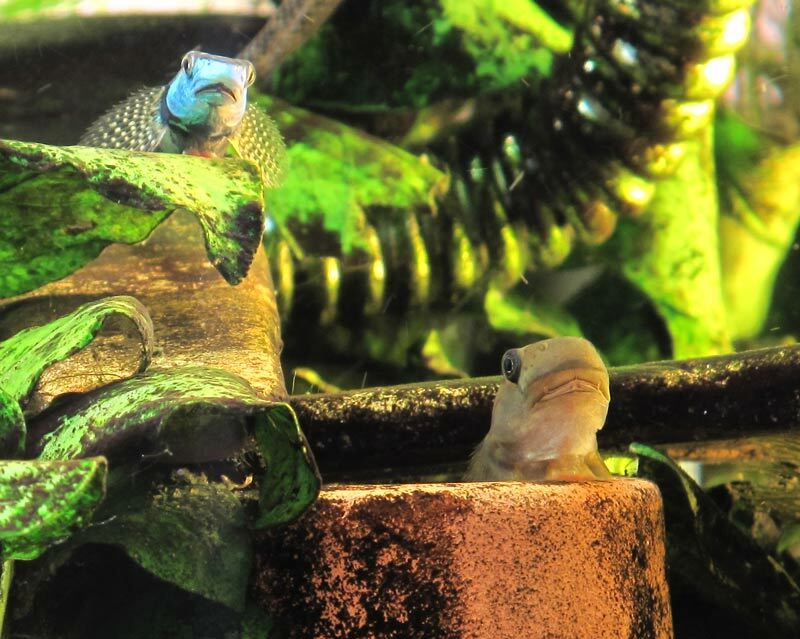 I noticed that he loves the brown algae, I tried to breed brown algae. your Sicyopterus also eat it brown algae? I do not so know a lot about sicyopterus. Only by words, I cannot image a difference above all. It is difficult without a picture. Odyssey,Tyrano, have a look here! Go to the last page, looks like they've been bred! I have finished finally reading the thread. Thank you very much for valuable information. I am amazed to learn to have succeeded in breeding of Sicyopterus. Would he control the salinity of the water tank ideally !? Or will Sicyopterus which can spread only with pure fresh water be in India !? 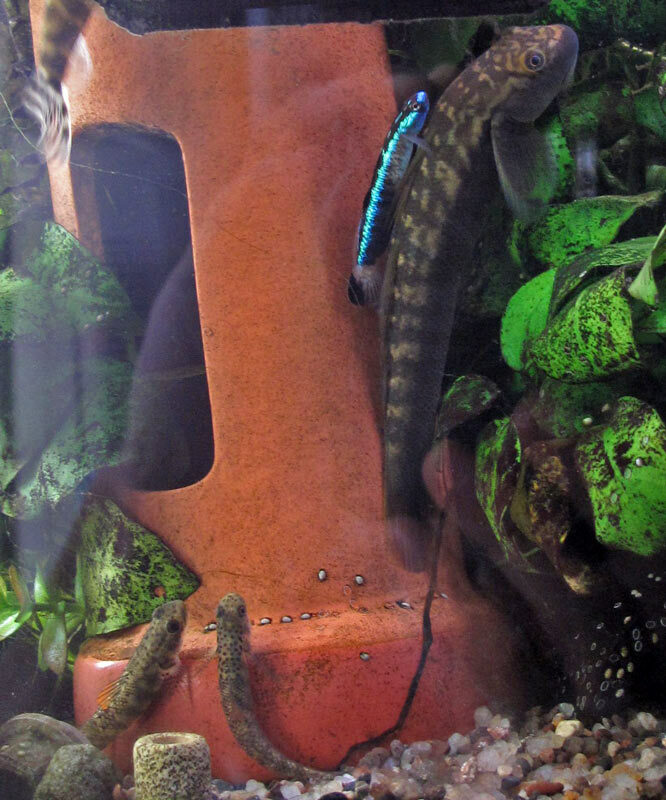 There are some kinds that can spread without salt water in the fish of the goby department. Many of Rinogobius are amphidromous migration, but there is R. flumineus which can spread with pure fresh water. Some LOL member appears in that forum. Irrelatively two pieces of pictures of Sicyopterus and Stiphodon. 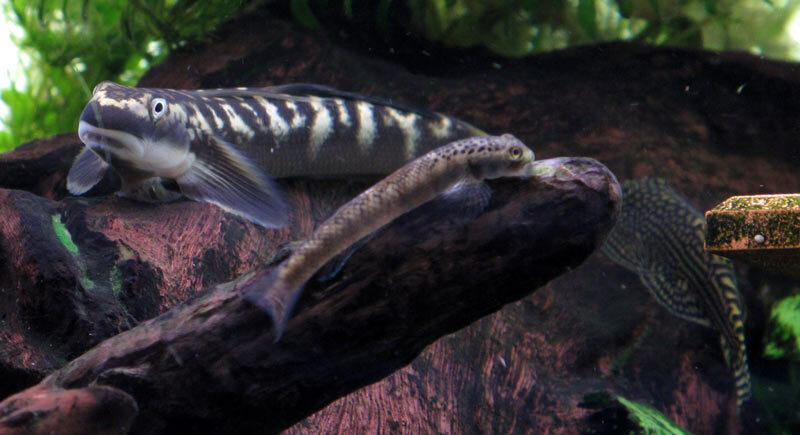 These are my new ones and I assume they are Sicyopterus. I still have an "ich" problem in the quaratine tank, therefore I am not amused about them playing dead, hanging from a stone, not a fun game! For a while it did not move it's eyes or even breath. Thankfully it took off after the 2nd picture. Which kind is it? They change their colour and can be completely ivory-pale with and without their remarking eye-drop spot. Also their "racing-stripe", appears in all possible variations.